Our March meeting will be held on Wednesday evening, March 16th at the MARC in Dayspring. Start time is 7:00 p.m., hope to see you all there! 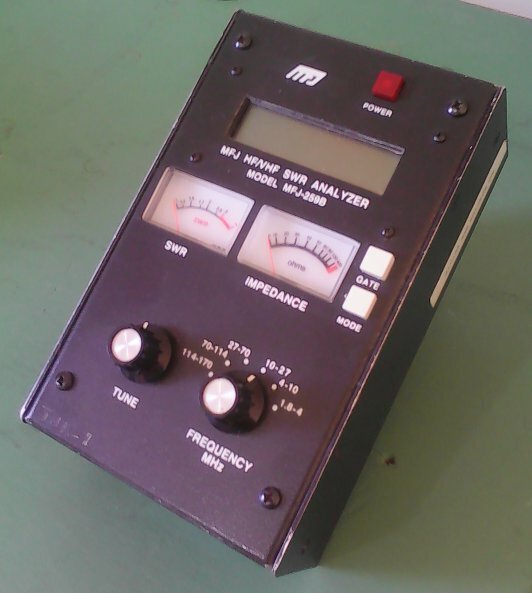 The Club has an MFJ Model 259B antenna analyzer that is available to any member to borrow. This analyzer takes the guesswork out of building you own antennas and is quite easy to use. I especially like the fact that you can see where your antenna is resonant, making adjustment easier. There is a power adapter or you can use batteries to power the unit, making it possible to take readings outside right at the antenna...saves a lot of steps! To borrow the analyzer for your next antenna project, just use the contact form on the right. Click here for a copy of the full manual on the MFJ259B.